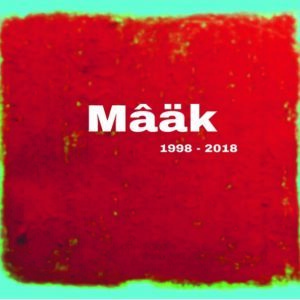 Mâäk 20 is a compilation album: 20 tracks, including some unreleased gems, from the past 20 years of Mâäk’s musical adventures. Today MÄÄK is a jazz collective with many offshoots, enriched by innumerable encounters, it is active all around Europe and also in many countries in Africa. Twenty years ago, trumpet player Laurent Blondiau (°1968) brought together a group of musicians to embark on a common musical quest following his ideas and his vision of jazz. From the outset, they called themselves “Mâäk’s Spirit”, in reference to the rallying cry invented by their leader: MÂÄK! “Intelligent and passionate music arranged in short themes and open forms, often daring tempos with a great deal of liberty for the musicians, free-wheeling and lightly exorcing”, could be read on the cover of their first CD as a quartet, released in 1998. Two decades later, the music, while still faithful to its roots, has evolved and matured. Mâäk’s discography now has about ten titles. In 2018, after an impressive, rich and especially fertile journey, Mâäk celebrates twenty years of true musical adventures. A series of exceptional concerts will celebrate this milestone, paving the way for new developments on a road that, without a doubt, still holds many surprises.